Best WiFi Apps for Android lists some Free and Paid Android WiFi Apps which enhances the usefulness of WiFi more than provided by usually factory installed one. Previously we published how to use portable Wifi Hotspot Devices to Share Your Internet Connection, with some of these Apps listed on Best WiFi Apps for Android, you can do more. Please be sure what you are going to do while using any of these Best WiFi Apps for Android, your data can be stolen if you have no idea how to secure your device. You can type or copy any name of the Apps listed in this list of Best WiFi Apps for Android and search it in Play using the Search function. WiFi Manager : An easy way to manage Wifi connections. Includes beautiful widgets. Wifi Analyzer : Shows the Wi-Fi channels around you. 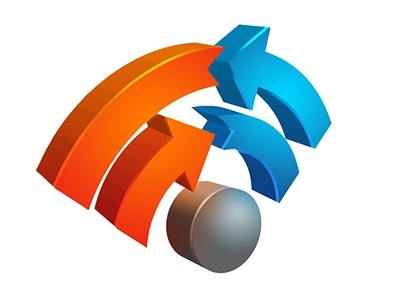 Helps you to find a less crowded channel for your wireless router. Wifi Connecter Library : Allows you to connect to Wi-Fi hotspots. This is NOT a standalone application. It is required by Wifi Analyzer and more. Unlock With WiFi : Unlock With WiFi unlocks your Android when you’re connected to your home WiFi. WiFi File Transfer : Upload and download files to/from your phone over a wireless connection. WiFi File Server Lite : Make your mobile device a WiFi file server and manage you files on the device. WiFi Finder : Never worry again about not finding a Wi-Fi internet connection. WiFi Free : Wifi Free gives you information about all nearby WiFi spots – both free and secured. Wifi Fixer : If you have Wifi problems on your Android device, you need this app. WiFi Auto ReEnabler : When the screen light-on, this software make wifi disable and then do enable automatically. Wifi Hotspot & USB Tether Lite : Portable mobile Wi-Fi Hotspot and USB Tether allows you to share 3G/4G Internet. WiFi for YouTube : This is a simple application to enable WiFi and then start YouTube official application. Display WiFi IP Address SSID : Displays Wi-Fi IP Address SSID Connection Speed. WiFi Keyboard : Keyboard for keyboard-less phones like Nexus One. Allow you to type on your phone using your computer’s browser. We hope you got interested on some of these Best WiFi Apps for Android. This Article Has Been Shared 9136 Times! Stream Music from PC or Mac to Android, play it without actually being thoughtful about how much space your Android Device has.Gmote is an app to Stream Music. Cite this article as: Abhishek Ghosh, "Best WiFi Apps for Android," in The Customize Windows, August 3, 2012, April 18, 2019, https://thecustomizewindows.com/2012/08/best-wifi-apps-for-android/.